Dynamite Entertainment is proud to announce that Mark Waid, one of the comic book industry's most accomplished writers, will be scripting the upcoming Justice, Inc.: The Avenger series. 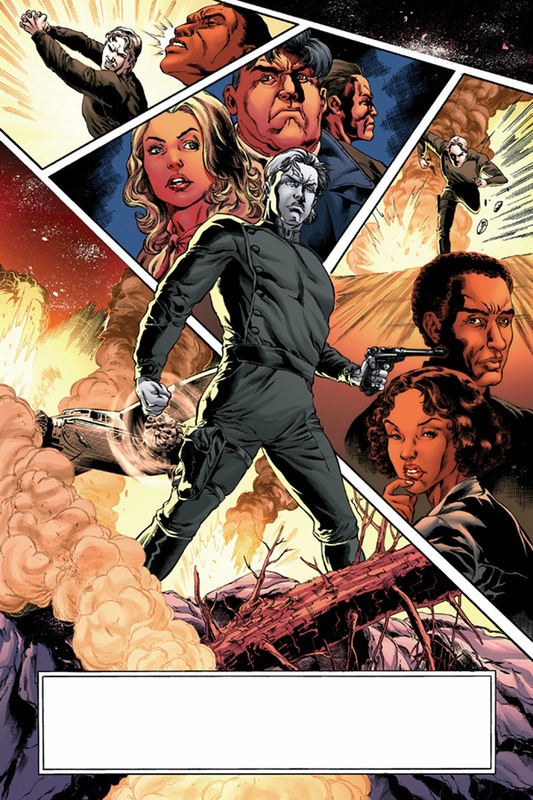 Joined by Dynamite artist Ronilson Freire, Waid will expand the Justice, Inc. universe of pulp heroes that include Condé Nast's The Shadow and Doc Savage. 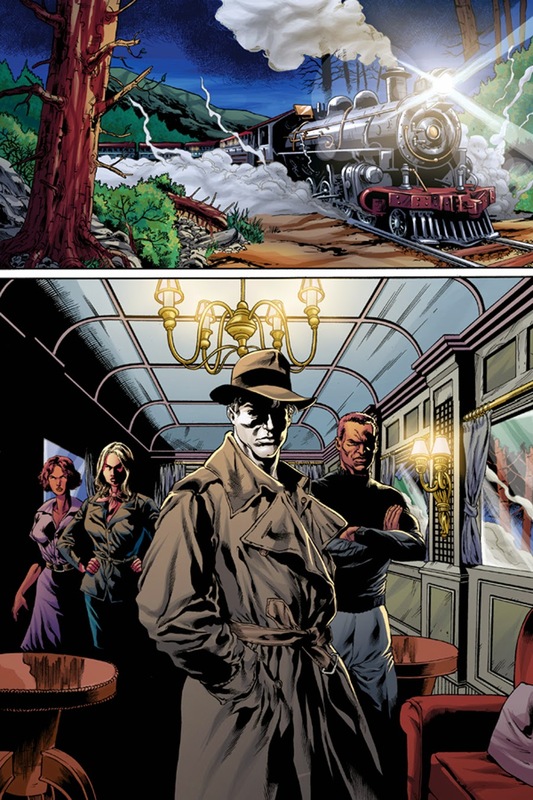 The new series will debut with a #1 issue in June 2015 and focus on wealthy industrialist Richard Henry Benson, the tragic, relentless vigilante and master of disguise known as The Avenger. 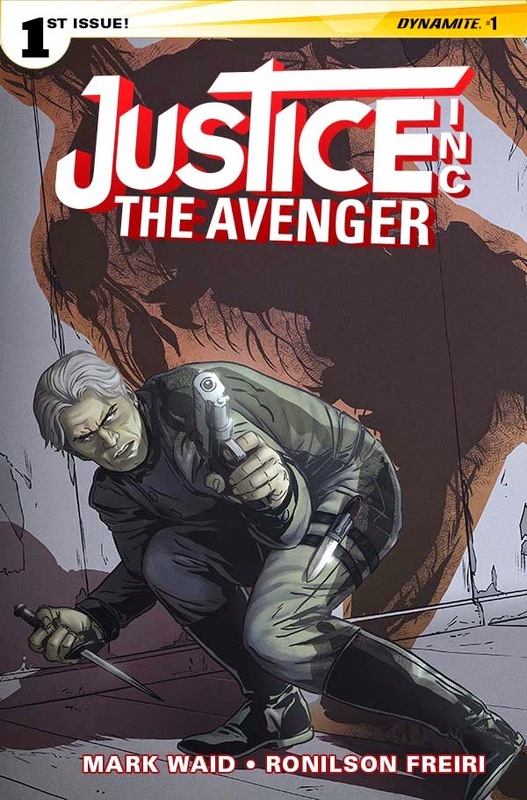 In Justice, Inc.: The Avenger #1, Waid and Freire continue the adventures of Richard Henry Benson, a victim of a criminal attack that left his facial features forever deadened, gray in color and incapable of showing genuine emotion. And yet, the harsh stroke of fate gave him the ability to mold his face to match the appearance of anyone... a skill he could employ as the ultimate master of disguise. Driven to mete out retribution against those who would prey on the innocent, The Avenger finds himself on a collision course with a villain even more secretive, brutal, and unrelenting than himself: an Invisible Man. 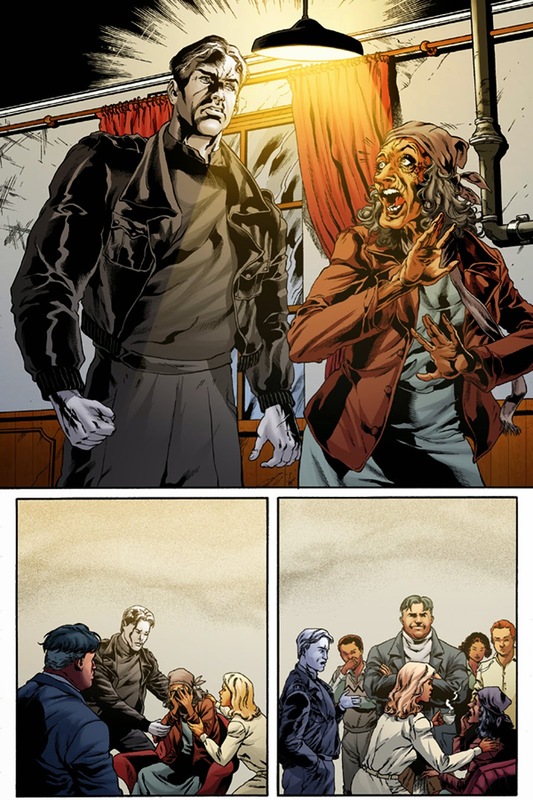 Mark Waid's participation in the Avenger launch fulfills a longtime writing goal; he says, "Moreso than The Shadow, moreso than Doc Savage, the Avenger has always, always been my favorite pulp hero, and I've been aching to write this story since I was eleven years old. What a blast! 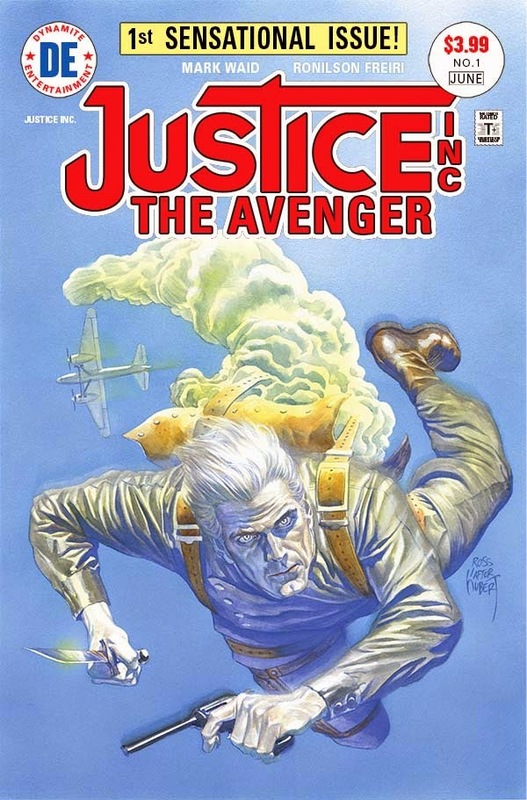 Having the opportunity to dive into the psyche of a crimefighter as unique as Benson has been a lifelong dream -- I've been thinking about what his life and mind would be like ever since I read my first Avenger paperback back in the day. How does a man live his life when he has nothing to live for but justice? How does he navigate in a world of life and love and joy when his own features are frozen and stiff like putty, mirroring his cold, dead insides? There's so much here to unpack." With over twenty-five years of experience in his field, Mark Waid has written a wider variety of well-known characters than any other American comics author, from Superman to the Justice League to Spider-Man to Archie and hundreds of others. His award-winning graphic novel with artist Alex Ross, Kingdom Come, is one of the best-selling comics of all time. Waid has also written two well-received titles from Dynamite Entertainment, Mark Waid's The Green Hornet and Doctor Spektor: Master of the Occult. 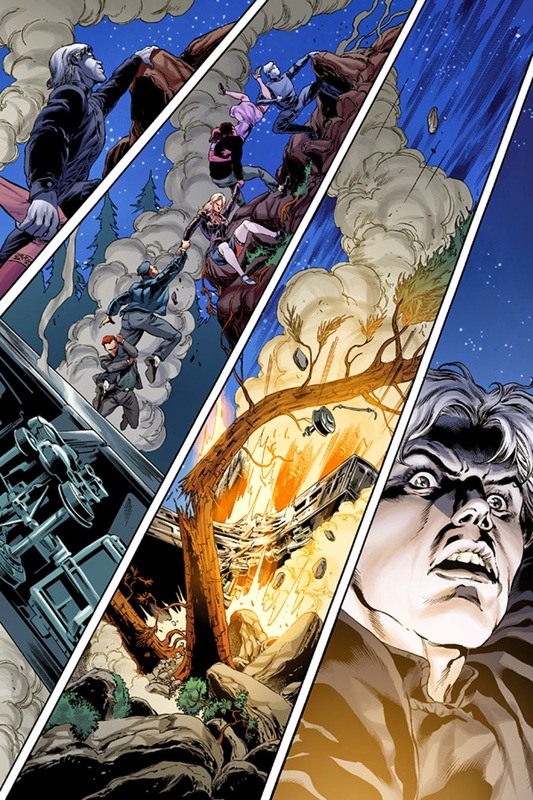 "Since striking up our great partnership with Condé Nast a few years back, the team here at Dynamite has looked forward to the day that The Avenger would have his own series," says Nick Barrucci, CEO and Publisher of Dynamite Entertainment. "We've been waiting for quite some time for the perfect writer to helm the project, and Mark Waid IS that perfect writer. He has a profound appreciation for the character, his history, and the genre of pulp adventure. Retailers will take heart that we've placed one of the most innovative, marquee writers on the project, and fans will surely be awestruck by the twists and turns in each and every Waid-penned issue of Justice Inc.: The Avenger." 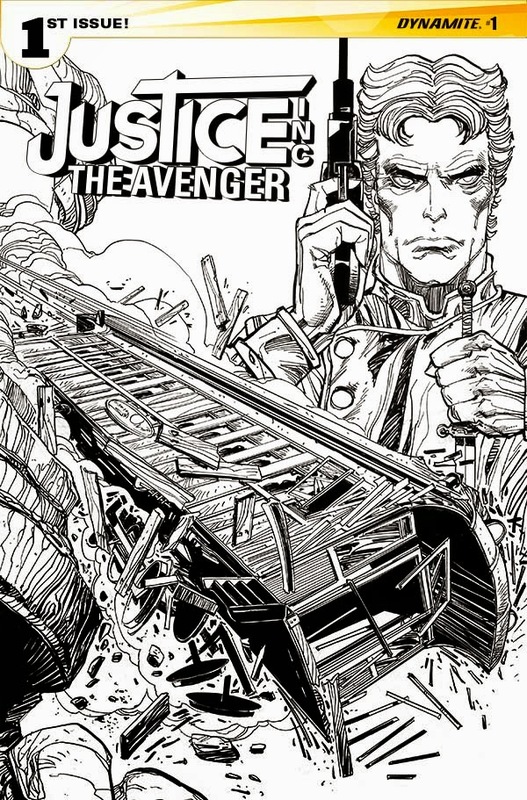 Justice, Inc.: The Avenger #1 will be released with a number of cover options for fans to enjoy, illustrated by many of the comic industry's most recognizable artists. The first issue will feature variant editions by Alex Ross (Kingdom Come), Walter Simonson (The Mighty Thor), Francesco Francavilla (Afterlife with Archie), Marc Laming (All-New Invaders), and Barry Kitson (The Amazing Spider-Man). Justice Inc.: The Avenger #1 will be solicited in Diamond Comic Distributors' March 2015 Previews catalog, the premiere source of merchandise for the comic book specialty market, and will be slated for release in June. 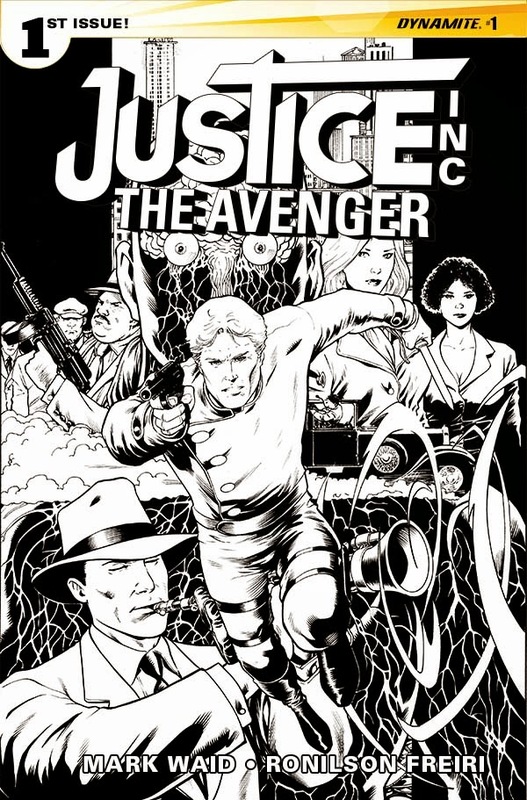 Comic book fans are encouraged to reserve copies of Justice Inc.: The Avenger #1 with their local comic book retailers. Justice Inc.: The Avenger will also be available for individual customer purchase through digital platforms courtesy of Comixology, Dynamite Digital, iVerse, and Dark Horse Digital.